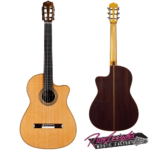 Rent this Cordoba C4-CE for only $7.15 per week through Studio 19. Here’s the first new addition to the Cordoba Iberia series in eight years — the Cordoba C4-CE. 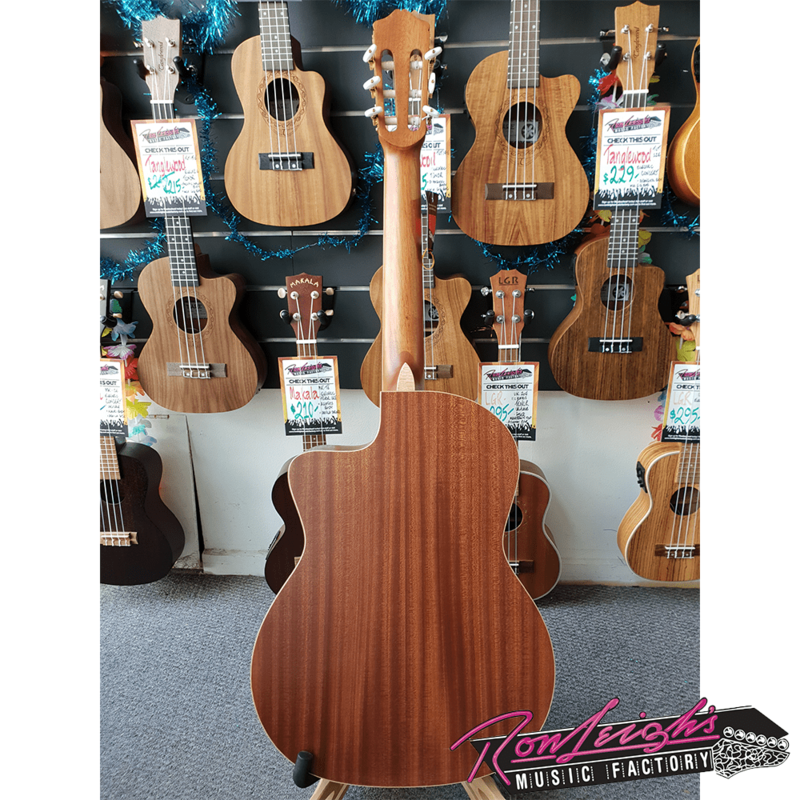 This beautifully crafted traditional Spanish classical guitar features a solid African mahogany top with laminate mahogany back and sides — an unusual tonewood choice for nylon-string guitars, but one that projects an articulated, rich tone. 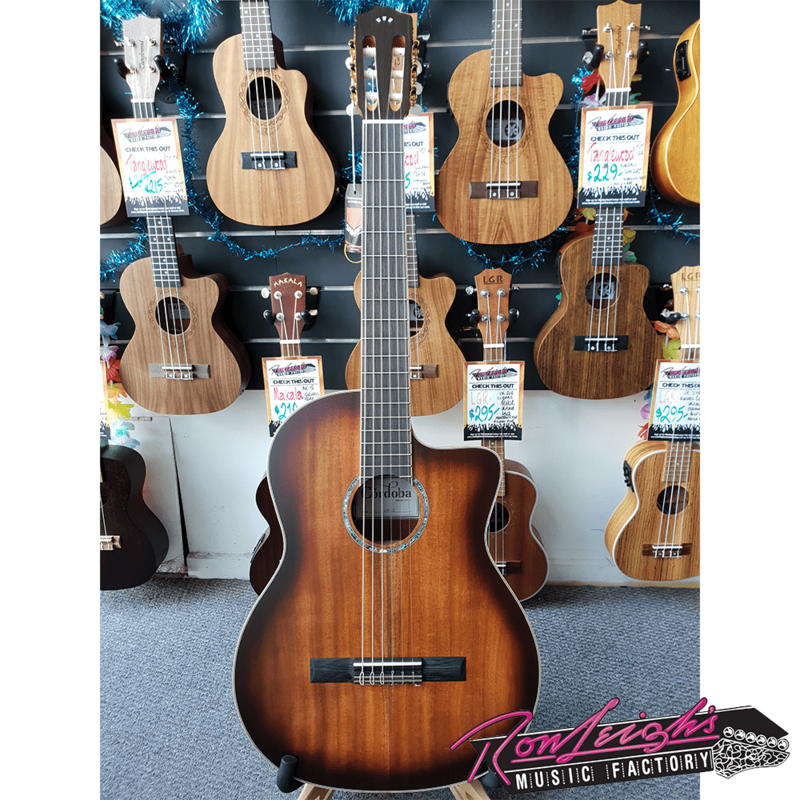 The C4-CE also features a soft cutaway and thinner 50mm-wide neck that feels comfortable in your hands and is great for the often complex chord structures and intricate runs of classical-style guitar. 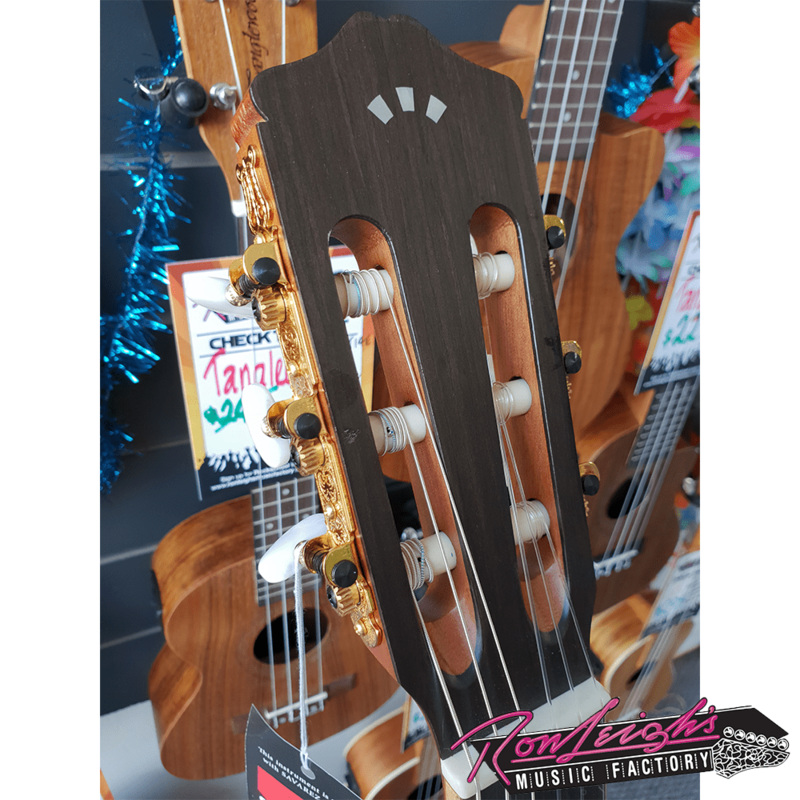 A Fishman Sonitone active pickup system provides beautiful amplified tone when you plug in as well. 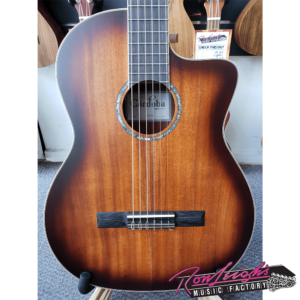 Other premium appointments include maple binding, an abalone rosette, and a striking finish, putting the Cordoba C4-CE in the wheelhouse of expensive nylon-style guitars, but keeping it at a very affordable price point.